Make 2019 a year of success, beyond your wildest dreams! 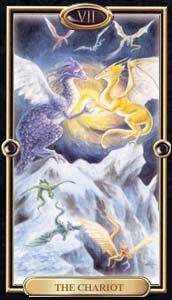 Tarot forecast 2019 will help you meet your goals, prosper in your relationships, career and in the pursuits that bring meaning to your life! . A year to stretch out of your comfort zone and soar high! Sharpen your tools and move forward with all the ambition, courage, and passion! Career : On the career-front, you will feel challenged to keep up with the fast-paced events. An unexpected development at work may open a world of new opportunities towards the second half of the year. Someone’s erratic, unpredictable movements will make it hard for you to proceed with the great efficiency. For self-employed, there will be speed bumps and brakes forcing you to slow down. Wealth : Financially, you might feel the pressure this year; so make sure to have contingency plan in place! Get rid of investments that have not clicked, as it’s time to give up on disappointing properties and investments. Towards the latter part of the year, tide will turn and dynamics will change on the income-front, steering your finances in a lucrative direction. Keep a tight rein on extravagant spending and focus on sorting out debt issues! Home : On the home-front, embrace any chaos or unexpected development, as they will help you liberate from limitations! Spending quality-time with loved ones will create new freedom, especially from a stagnant family situation.An exciting development or a desire for independence might prompt you to reconsider your living situation——a move or renovation is in store! Health : Health will be good, but you might go through a few bumpy spots- an upset stomach, a tight neck or minor problems with knees. Trying to accomplish too many things at once will adversely affect your health too. Adopting Yoga, meditation and healing practices will help you relieve stress and tension! Angel's Message : "Take periodic brakes and re-energize yourself." Cosmo Tip : Wear a Petrified Wood Crystal bracelet on your Left hand, to begin in a new direction. Keywords : Abundance, Ambition & Recognition. Brace yourself for big changes, surprising plot twists and bold moves! Hold a big vision and enjoy the journey this year! Career : You will be ready to take charge and move forward with a project, but you might not have all the facts and information. On business front, problems might arise, bringing matters to a temporary halt. Take immediate action, if things seem to be falling below your usual high standards. 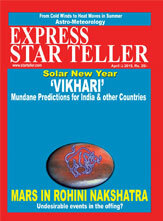 Solar spotlight will shine on your career towards the mid- year, when you will have the reins of an important project! Wealth : Take responsibility and deal with financial issues and money matters head on.Look into ways to master your budgeting skills and plug those invisible money leaks.With your sharp intellect, you will enter a rewarding financial period towards the 2nd half of the year Be smart and hold on to your wallet and act on expert advice regarding your financial investments! Home : On the domestic front, a family situation might press on you, intensifying feelings of exhaustion. Careless words can easily be blown out of proportion. You could feel moved to embark on projects that enhance both your living space and overall well-being. Love: Plans regarding relationships will not progress, as you hoped for—— but with gentle consistent persuasion attitude, it will bring you closer to a breakthrough! Interactions with your partner must be handled with care, as they can turn volatile. Using gentle humour to diffuse the situation will help to calm any proverbial storm!Singles looking for a new beginning can look forward to delightful developments awaiting you! Health : Suppressed emotions and resistance to change will cause emotional and mental imbalances. Explore what is right for you and set the limits around what you eat! 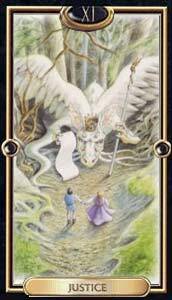 Angel's Message : Be assured that you have all the luck you need. Cosmo Tip : Keep an Amazonite sphere at your work-table, to be at the right place to get the right opportunities. This year dare to do things differently! Revolutionize your life and bring it more in line with what you want to be. Career : People with power or authority over you might test you, forcing you to prove yourself. A proposal or a project that had been waiting in the wings will be suddenly be pushed forward towards the second half of the year.You will be able to impress the right people, if you attend to details. Avoid getting sucked in by gossip.Those in business, need to be vigilant, as they might miss an important opportunity. Wealth : Avoid wasting time on conflicts and money arguments, which could prove to be costly to you! New financial opportunities will open up in the second half of the year, that will be more in line with your beliefs. Royalties or unexpected sales from old project will help you tide through transition.! 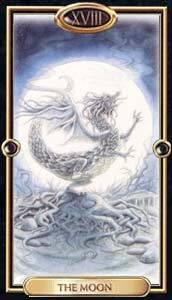 Home : On the domestic front,unyielding and authoritative attitude , will hamper you from getting your message across gently; step back and retreat for some time to avoid rifts in personal life. You may want to upgrade or improve your living space, especially in terms of making it functional, organized and serene. A breakthrough will bring the renovation plan on board! Love : Dissatisfaction, delusion or hurt feelings might spell trouble in an ongoing relationship—Getting a glimpse of your relationship from a new perspective will bring a whole new level of honesty and connection that has been missing before. Singles will meet someone new. Health : On the health-front, physical or emotional problems surfacing this year might have roots in the past. Open yourself to receiving knowledge from new sources, and notice the healthy difference it can make in your life. Angel's Message : Have the courage to speak up with grace. Cosmo Tip : Keep a Yellow Fluorite crystal cube in the work-place, to gain cooperation. This year release the past and start afresh! Take cues from unexpected events and as the universe is trying to coax you into a new direction. Career : In your professional environment, you will be prone to confused dynamism with haste - Watch out as you are quite likely to commit errors of judgment.Hidden tensions at work could come to the surface - Keep your communication straight and narrow, at this time!A big change in a particular project or in the structure might cause anxiety but ultimately will make your position more stronger and future secure! Those in business would embrace a change to create more freedom and autonomy. Wealth : Financial markets will fluctuate; so avoid cashing in any investments that you purchased under mysterious circumstances! Missing paperwork might delay your financial returns— so double check any documents that you submit are completed as expected. Financial outlook will improve and look bright with new opportunities towards the 3rd quarter. Home : Domestic matters will not work according to your satisfaction. A sudden decision will be made or a surprising news could lead to an unexpected trip. Be ready to move quickly! Events concerning real estate, property or a new Home will take a surprising twist. Love : Putting your emotional world on a stronger footing will become a priority this year! A previousl warm relationship might suddenly turn cold. Get ready to cut the ties, if you feel your freedom is threatened! Clear the air with a heart to heart talk, before your suspicions destroy your relationships. Health : Be careful not to turn your feelings of anger and hostility against yourself. Guard against self - destructive activities that can ruin your health and wellbeing. Heart problems or problems with blood could arise. Try a new approach or change doctors if necessary. 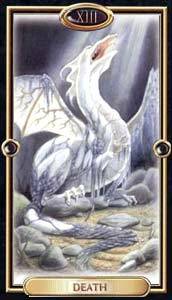 Angel's Message : Tap into ancient wisdom within to transform your life. Broaden your horizons, set the bar high, and stride ahead with confidence!Don’t give up right before your vision manifests. Career : With your intellectual flair, you will shine on the professional stage! Your laser sharp focus will help you to forge ahead through the pile of work, uncovering eye-opening facts about your professional situation. Be ready to be considered for an industry award or a recognition for a job well done! Those in quests for job change might face stiff competition. Those in business will be able to conclude an entrepreneurial deal in the second half of the year. Clear the deck and take advantage of new opportunities towards the second half of the year. Wealth : Messages and communications about pending deals will heighten your confidence on the money front! Sudden acquisition of money through an inheritance or from more than once source is foreseen. Someone might try to get you involved in rich-quick-scheme, while negotiating financial deals —Remain alert and don’t compromise your integrity!Financial opportunities will be abundant in the second half of the year. Home : Bold steps will help you to improve or change your Home and family relationships. Transitions and turning points are likely in your closest relationships. Love : Your relationship will undergo a regeneration. A long-running disagreement will be resolved. Be open to making adjustments and be considerate of your partner’s point of view. For Singles, fresh starts and new beginnings will give you lots of chances to revamp your love life! Health : Your emotions have a powerful impact on your health. Blocked emotions will manifest as health issues. Regular exercise and moderation in your diet will benefit your health! Angel's Message : Clear away any negative energy from unsettling conversations or negative internal dialogue”. Cosmo Tip : Keep a piece of rough Kyanite in your Left pocket, for focus and balance. Keywords : Introspection, Renewal & Integration. This year let your old life crumble and fade to make space for a powerful new reality! Career : The professional doldrums that you had previously experienced will be replaced by renewed hope in your career! You will garner praise and admiration for your creative, inspired and innovative ideas. Towards 2nd quarter, a new job or an assignment will give your spirits a much-needed and a welcome boost! For the self- employed, discussions with close business connections will provide you with ways to improve your skills or bring a new business endeavor into place! Home: There could be problems on the home-front and you might be tempted to argue instead of calmly resolve the matter. Anchor yourself in practical matters before you try to prove your point to your loved ones! Love : On the relationship-front, confusions and misunderstandings will make you skeptic and suspicious. Avoid digging in your heels and give your partner a chance to speak their mind! For singles, a major change will usher in a new era for the relationship—It will be worth the wait! Health : On the health-front, you will find it challenging to keep your energy levels high. Watch your health as you might contact a flu or virus. Preventivemedicine is the key- Exercise and watch your diet and avoid overexertion. Angel's Message : Have faith that divine timing is at play in your life. Cosmo Tip : Wear an Apatite Crystal bracelet on your Left hand, to accomplish your goals!. Keywords : Organization, Beliefs & New Beginnings. This year step into a new world and explore new avenues in life! Take inspired action towards your dreams. Career : Activity in your work will be renewed and expect a positive flow of creative and inspired ideas, towards the 2nd half of the year. An unexpected event could force you to make a completely new start or take a decision, which will give you autonomy which you did not have before. For the Self –employed, original and unconventional ideas will help you steer your business in a new direction! 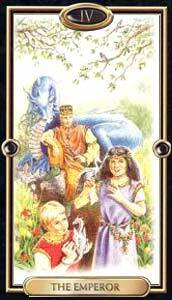 Wealth : Sit tight with regard to your investments, as this is not a good time to attempt. Major financial changes are on the way! A budget might get dramatically slashed. Towards the second half of the year, an unexpected windfall will show up just in time to tide you over financial hiccups! Home : On the domestic-front, your plans for the future might clash in some way with those of your loved ones ! Work as a team and objectively resolve any obstacles! Avoid pressing any issues regarding money, rent or property or you will be forced to move! Love : Close personal relationships will undergo review and re-evaluation. Evaluate the past patterns and the core beliefs that has caused you unhappiness and work on changing them! Singles will meet someone, while travelling for business or through work-related events. Health : On the health-front, your nerves might be vulnerable. Through a positive belief, you will achieve physical and mental wellness. Yoga , stretching and a healthy exercise regime will help you blow off tension and maintain upbeat mental outlook. Angel's Message : It is safe to be powerful in loving ways. Cosmo Tip : Wear an Aquamarine Crystal bracelet on your Left hand, to regain emotional balance. A powerful year when nothing can distract, disturb, or stop you, if you’re determined! Soar higher & shine brighter! Career : Tie off loose ends where you can. Confrontations can have an unwelcome outcome — Be cautious and diplomatic. Pressure will be on you, to tackle a pending big project that had been put on the back burne; your reputation will rest on how well you perform!For those in business, varied opportunities to expand your business with new incoming clients and new ideas to implement is foreseen. Wealth : You might discover that your assets have grown in value and you will be able pay off a long-standing debt. A financial transaction that has been bothering you will soon have a pleasant surprise. Financial problems will be resolved mid –year, and an adjusted financial statement will give you an unexpected bonus. Home : Matters concerning home or loved one will be difficult to fix. Stay quiet and out of the firing range! You might consider big plans, like a move, renovation or major decorating project. A moody or irrational loved one’s behavior could distract you from your goals—Avoid reacting too emotionally or taking things too personally. Love : An issue could arise, bringing out some intense emotions. Touching a sensitive nerve with your partner will create confrontations. Be sensitive and considerate during discussions! For singles, things might slow down on the romantic front, take stock what you really desire in a partner! Health : The insecurity of not knowing what the future holds will play havoc with your health! You might experience periods of anxiety and uncertainty. Toning down the stress levels will help your health to rebound! 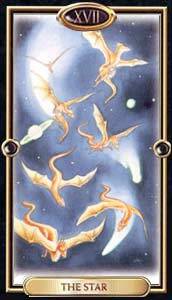 Angel's Message : Maintain loving thoughts surrounding your current life situation. Cosmo Tip : Keep a Blue lace agate crystal in your work place to recognize the opportunities when they knock. Keywords : Power, Moderation & Intuition. A year where you will emerge glittering and bright just like a diamond! Listen to the whispers of your heart and trust your intuition no matter what! Career : A negotiation will reach a standstill—take the help of an unbiased third party, to settle the difference! Avoid office politics and rely upon your own shrewdness to uncover deception and duplicity. A splendid opportunity will open doors for you to initiate an ambitious project towards the second half of the year.A business plan will have a tremendous potential to boost your confidence and self –worth. Wealth : Invest part of your profits in new projects and properties – as now is the time to build on what you have earned! New financial opportunities will charge into your life towards midyear. Around the middle of the year, things would straighten out a bit, as you would be able to sort out loans and debts that have been bothering you this year. Home : Small pleasures and auspicious events would bring about a sense of positivity around you and your family. 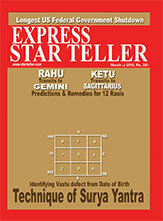 Superb cosmic support will help you clear the air with a loved one. Sparks might fly but the two way open communication will help to strengthen the bond! 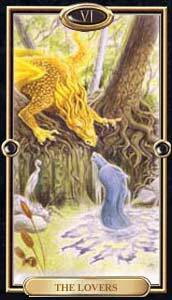 Love : Sudden developments will shine a new light on your emotional needs. Keep your love-life away from gossip and criticism to ensure it does not become complex and disruptive! Singles could meet someone with a suspicious agenda — treat them with extra caution! Health : On the health-front, you might experience emotional drain. Problems with your feet, knees or legs could also be indicated. Medical attention or treatment will be needed. Following a de-tox program will help you to bounce back and experience better health! 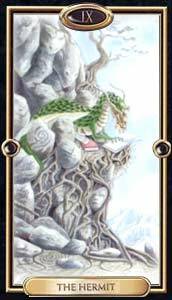 Angel's Message : Educate yourself in areas you feel your knowledge is lacking. Cosmo Tip : Keep a Green Aventurine crystal at home, to attract abundance and good luck. Buckle your seatbelt, as you will reach great heights! A clearer perspective will make it much easier to achieve your goals and dreams! Career : You will have a wonderful opportunity to polish your professional image and form supportive partnerships at work. Someone in a position of authority will hold all the cards, sit tight and distract yourself with work that you can control. Due to chaotic situations, you might make some irreversible mistakes. Disagreements or conflicts with your superiors could result in a severing of relations. Wealth : You will be able to fix leaking funds and will have long-term plan into place. Cash flow and stocks could get erratic. There will be a boost to your prosperity plan, towards the second half of the year. Someone could make an investment look very attractive and tempting, trust your intuition in this matter. Home : A year to re-organize your home! Instead of trying to get new projects underway, deal with unfinished business first. You will have to make adjustments in home and family life in response to changing circumstances. Love : An opportunity for reflection,will bring the sparkback into your love life.The cosmos will give your relationship a welcome boost! Singles will need to make a few changes to attract love in their lives!. Health : Do not over-indulge in food or drink for emotional gratification. There could be minor irritants, regarding digestion. 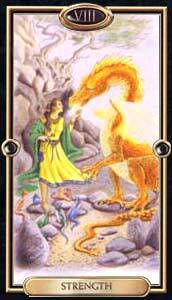 Angel's Message : Believe in your magnificence and embrace your power. Cosmo Tip : Keep a Red Jasper crystal at your work-place, to take action at the right time. Exciting changes will be coming this year! Step out of your comfort zone and charge ahead with joy and confidence! Career : A stroke of luck or a serendipitous development will cause a plan or idea to be pursued differently. Be careful not to provoke any impulsive debates with your colleagues and supervisors. Opportunities for expansion or innovation will help you move towards greener pastures towards mid- year! You will be greeted with numerous opportunities to develop your plans and to secure the future of your ideas. Wealth : On the financial-front, you will be forced to make difficult decisions to move in a new direction. Your credit obligations will bring you to an impasse. Take stock of the situation and act carefully. In the second half of the year, a financial portfolio will generate unexpected healthy returns. Home : Unfulfilled obligations might create problems on the home-front. Nip any problems in the bud, before they become bigger. You will start a new project or venture, something that you can operate from your home! Someone in the family, will help you in a big way. Love : Calm, open discussions about your differences and complaints, will help you achieve emotional harmony. Travel will prove beneficial in reviving a stagnant relationship. For Singles, promising encounters loom on the horizon as someone special sails in your life! Health : You will gain insight into the root of a health problem and will take steps to correct it! Teeth problems can plague you….Question the diagnosis, the tests, your physician—if the treatment does not feel right do not go through it. 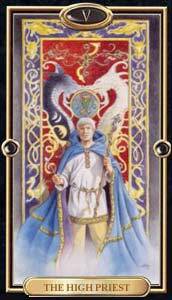 Angel's Message : Have confidence in your own ability to make things happen. Cosmo Tip : Wear a Lepidolite crystal bracelet on your Left hand, to prioritize your tasks effectively. Keywords : Focus, Adaption & Cooperation. This year with laser sharp clarity, you will have the power to move mountains! Be bold with your requests to the universe! Career : On the work-front, a structural upheaval or an unexpected and disturbing event will drive you to the edge and bring you to a crossroad. Don’t let anything undermine your confidence! Give your creativity a free rein! A raise and new responsibilities will test your skills towards the year-end. For the self -employed, travel and networking will help expand your horizons. Wealth : Finances will improve significantly once you open yourself to the new possibilities. Be patient, but firm in financial dealings with people who owe you money. Unexpected stroke of good fortune near Autumn months will help you clear up old debts and resolve long term financial problems! 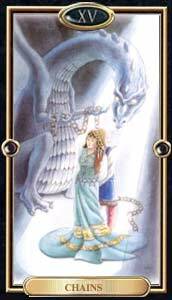 Home : On the domestic-front, you will be trying to maintain emotional equilibrium but will find it very difficult, as all of your endeavors will be going awry! You mighty plan to move out on your own and purchase a new Home– plan your expenses wisely in order to make this a reality! Love : Being overly biased and pushing hard for your agenda while ignoring your partner’s desires will cause disappointment and heartbreak! Finding the ideal way to express your desires will help you to set a new tone for your relationship! Singles will attract a light-hearted new connections. Health :Guard against accidents on the home front and be careful what you eat, as you could harm yourself. A health problem will make it difficult to work or follow through with plans, but you will try to press through it. 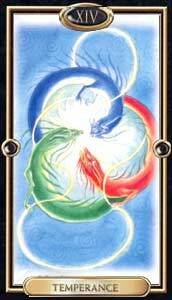 Angel's Message : Trust in the process of change and honor your feelings.